Home › Alisa & Lysandra x United Artworks Art Collaboration! Alisa & Lysandra x United Artworks Art Collaboration! United Artworks is excited to officially announce the launch of our art collaboration with winners of The Block Sky High and Australia’s favourite design duo, Alisa & Lysandra! 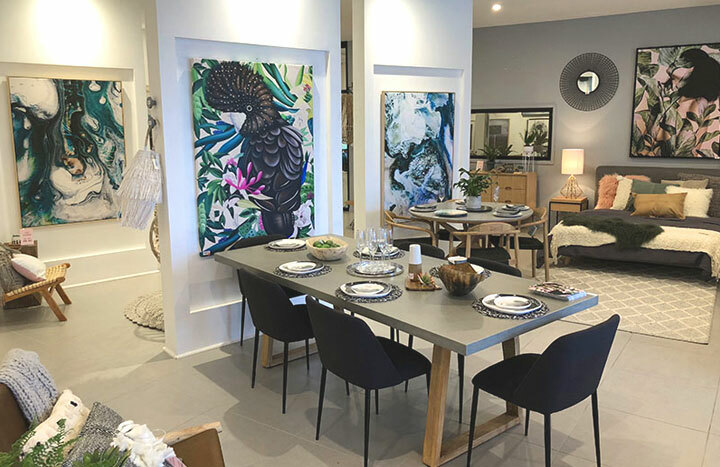 Designed and produced exclusively in Australia, this exciting new range of contemporary artwork is representative of Alisa and Lysandra’s styling and reflects current interior trends and colour forecasts. 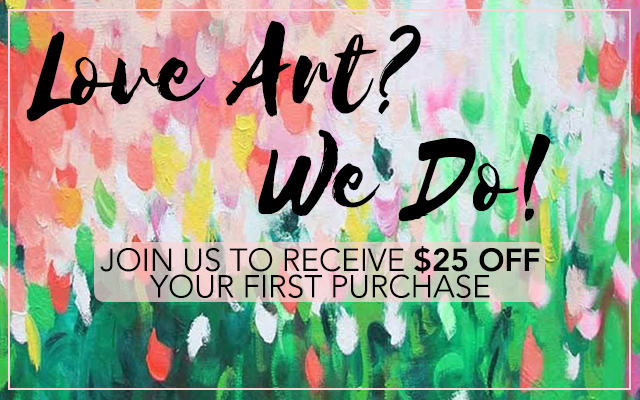 This collaboration offers the Australian market the opportunity to purchase and enjoy artwork at an affordable price tag, making artwork available to everyone! Ethereal abundance is the inspiring element behind Alisa and Lysandra’s new curated collection of artworks. Featuring both graphic and photographic designs that represent the grandeur and abundance of nature, Alisa and Lysandra have harnessed United Artworks’ expertise in abstract expressionism, to produce this series of graphic artworks. Nature’s colour palette boasts diversity, depth and a raw richness that can add a transformative energy to interiors. Moody yet seductive, distressed yet perfectly imperfect, structural and detailed, are some of the elements that describe this ethereal collection of artworks all which create visual interest through natures’ detailed and audacious textures and hues. Artwork is the finishing touch for interiors styling, and under the creative direction of Alisa and Lysandra , this exciting new range of contemporary artwork is representative of the twins’ styling and reflects current interior trends and colour forecasts. Why artwork? And what inspired your collaboration for this collection? As interior designers we know that our projects become complete when all the finishing touches are in place and this includes artwork which can deliver enormous emotional power in a space, more than homewares or other accessories. We have always wanted to create a collection that compliments our design style and colour forecasts, that matches the tone of our work. This collection is moody, raw and very ethereal. It harnesses the power of visual detail, bringing to life elements that are usually seen only when the naked eye mindfully focuses and zooms in on the beautiful details of an image. This collection features a series of visually powerful prints that create aesthetic polarities and perfectly balance masculine and feminine tones and textures through the abundance and colour palette of nature. What is your ‘signature style’ when it comes to interior design, and how does this print series reflect your design aesthetic? Our design style is based on a philosophy that remains consistent through evolving times; it’s about the Love! It’s about the harmonious energy you feel when you enter a space, it’s the feeling of warmth and yearning to be, grow, and do things in the interiors you love and the spaces that nurture you. Minimalist yet luxe, masculine yet soft, contemporary yet understated, our design represents a world of contrasts, of opposites that attract and build a cohesive visual interest that is seductive, unique and refreshing. We have applied the same design ethos to our new collection of artworks. 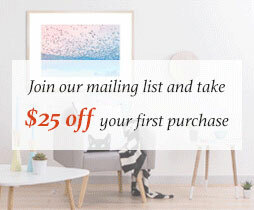 What is your advice for choosing artwork? Artwork can create a magnitude of emotions. When you look at a specific piece of artwork, whether it’s a photographic print or a hand painted abstract piece, you feel… a certain way. Attraction is important, and you know you’ve found the right piece if you are visually drawn to it. Artwork can be used to enhance your interiors by drawing visual interest and amplifying your space. Use your existing colour palette as a guide to select a piece that will create colour continuity but also allows the introduction of an accent colour. In contrast to common opinion, it is perfectly acceptable to freshen-up or redesign your space around a piece of artwork you love.